First of all I have to apologise for my hiatus this past month, university assessment caught up with me! These next three posts are going to be my photos from Kruger National Park in South Africa, probably one of the most famous wildlife parks and safari destinations on Earth. We stayed in a few camps over the course of a week, and each day we would drive around in our hired vehicle from camp to camp. By booking accommodation in several different camps, you get to see a wider variety of animals and habitats than if you just stayed in the one camp for a whole week. Kruger is massive. It covers almost 20,000 square kilometres of pristine African bush. The park is now linked with the Gonarezhou National Park in Zimbabwe and the Limpopo National Park in Mozambique. 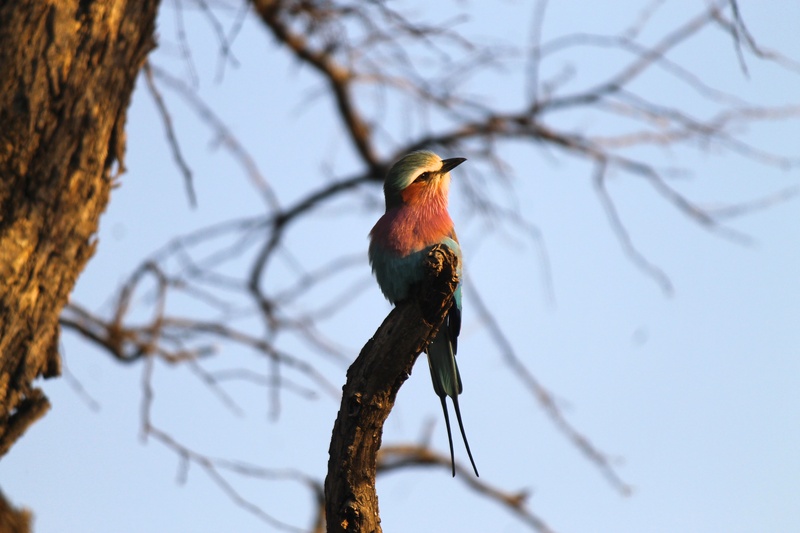 Together, the three nature reserves make up the Greater Limpopo Transfrontier Park and the area has been designated as a UNESCO International Man and Biosphere Reserve. I might do these posts a little differently as the photos will include lots of different animal species, so I will provide information on the species where possible (please forgive me if I do not correctly identify the animal – feel free to comment to correct me!). 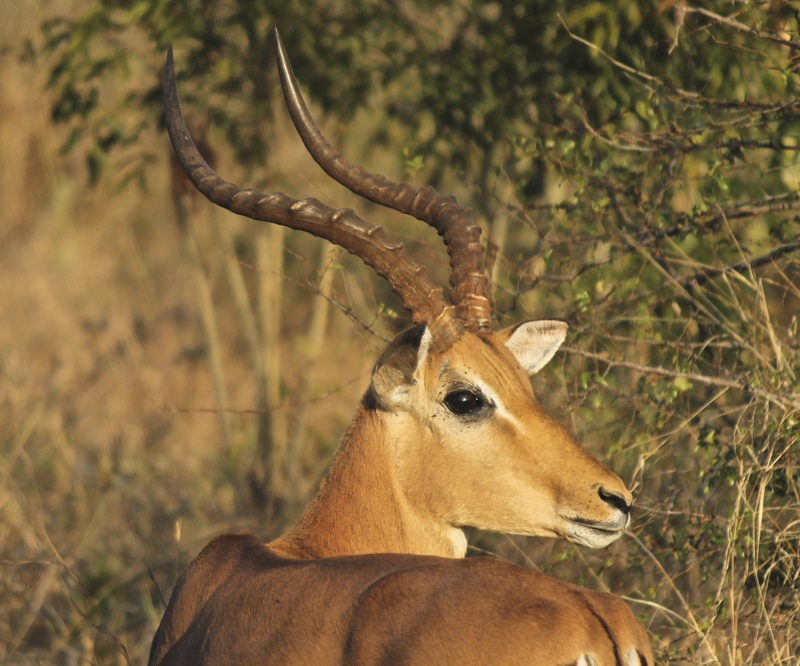 Impala (Aepyceros melampus) (Afrikaans: rooibok) – the most common type of antelope in the park. 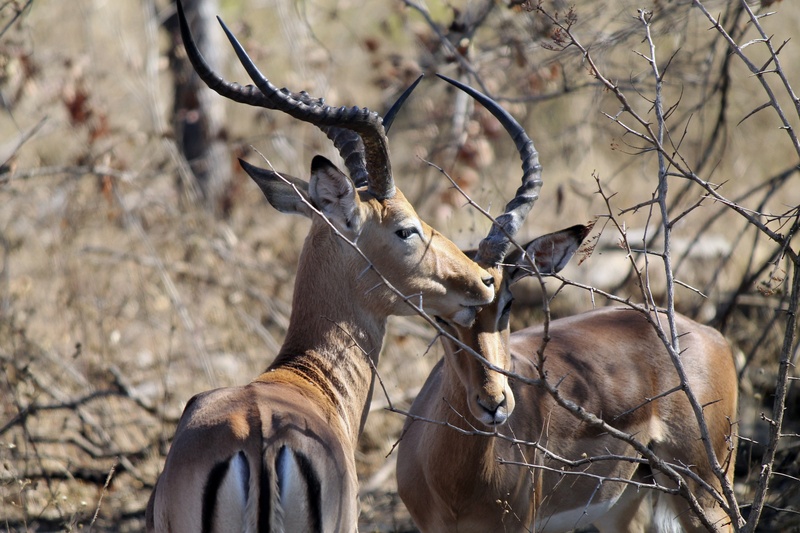 There are over 10,000 herds of Impala in Kruger. The Lilac-Breasted Roller (Coracias caudatus) – when I first saw this bird I thought it was the most beautiful and exotic thing I had ever seen, until my aunt told me they are very common in Sub-Saharan Africa. 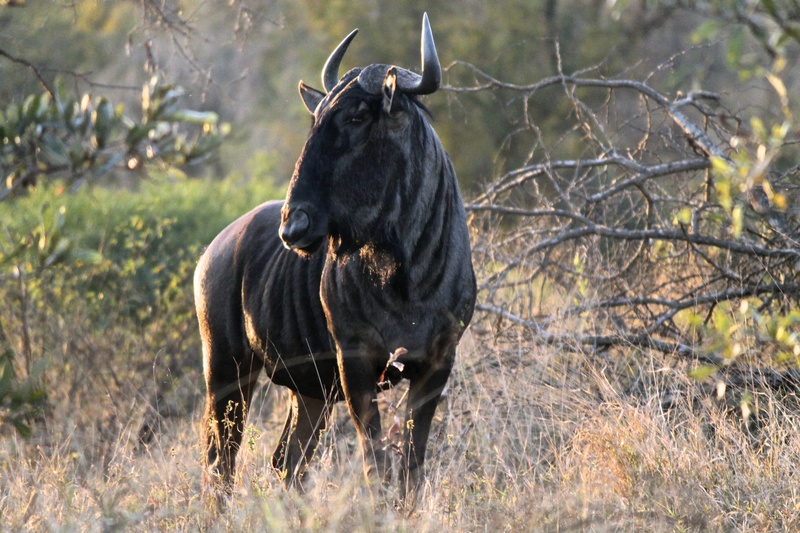 Blue Wildebeest (Dutch for “wild beast”) (Connochaetes taurinus) – these antelope can live for more than 20 years. Plain’s Zebra (Equus quagga) – most common and geographically widespread zebra. 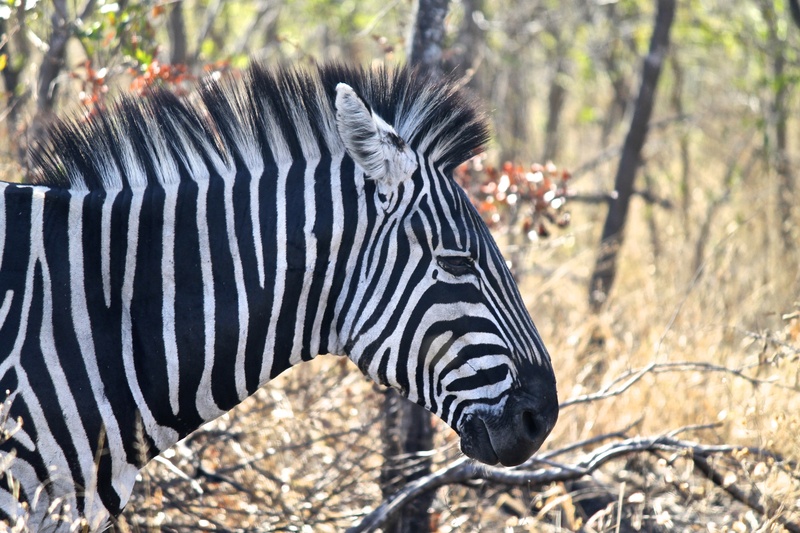 A zebra’s markings are unique and act in the same way as a human’s fingerprint. 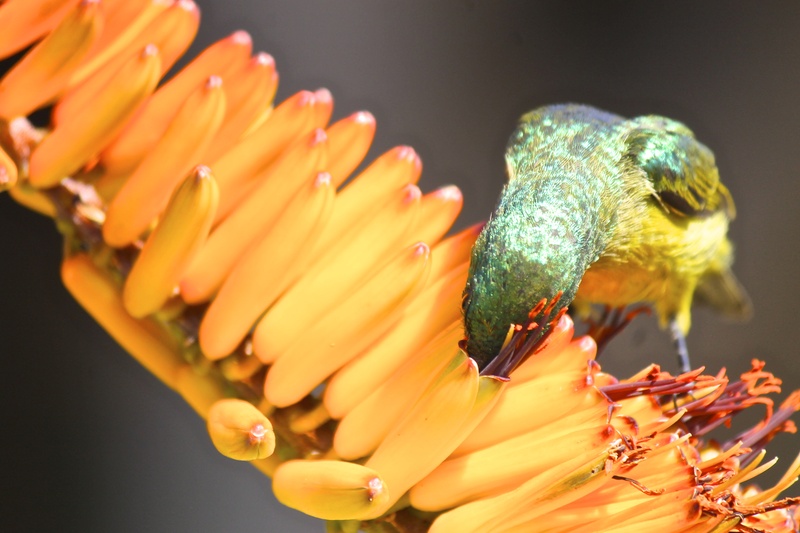 A C0llared Sunbird (Hedydipna collaris) hunting for nectar in the garden of Skukuza base camp. 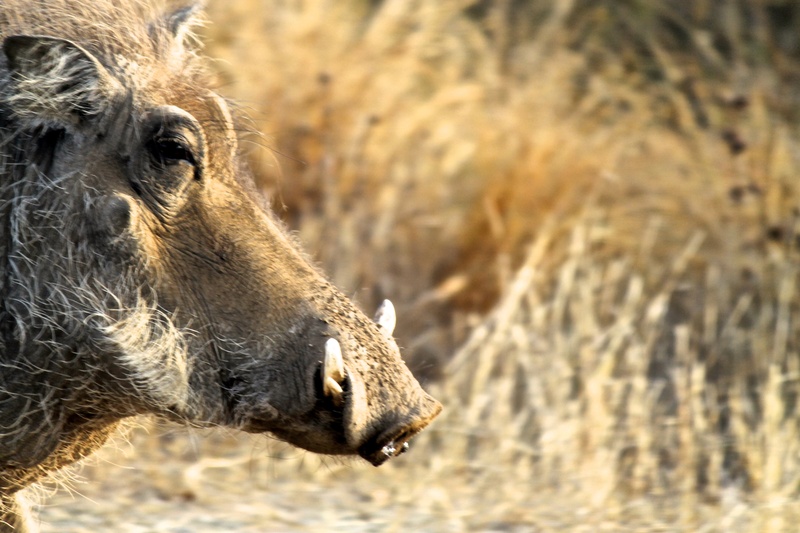 Warthog (Phacochoerus africanus) (Afrikaans: vlakvark “pig of the plains”) – PUMBA!! 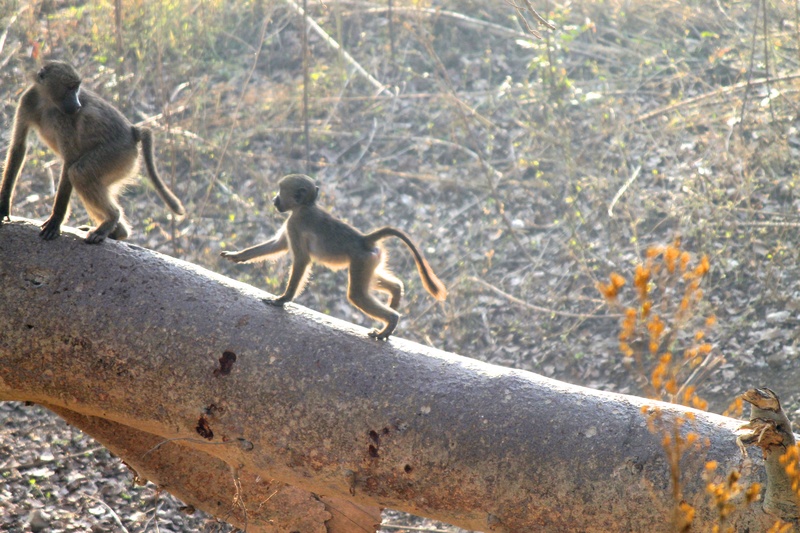 Chacma or Cape Baboons (Papio ursinus) (Afrikaans: bobbejaan) playing near Skukuza camp. 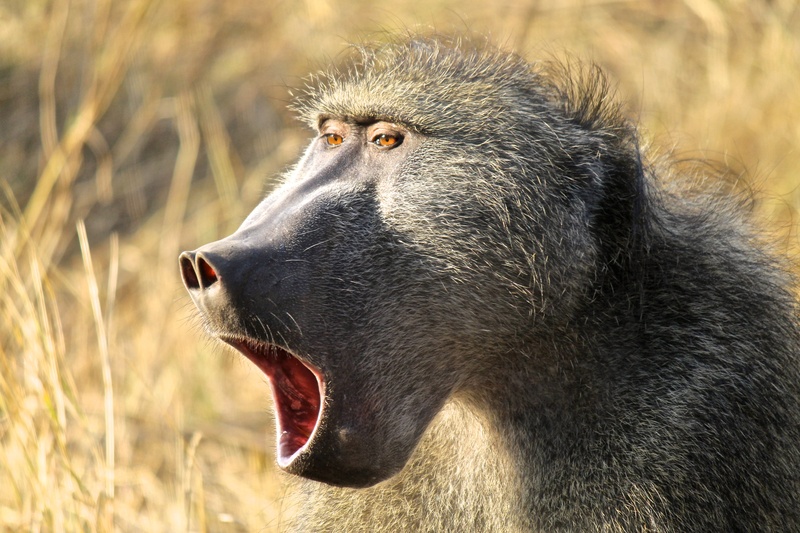 Daddy baboon in the early morning. 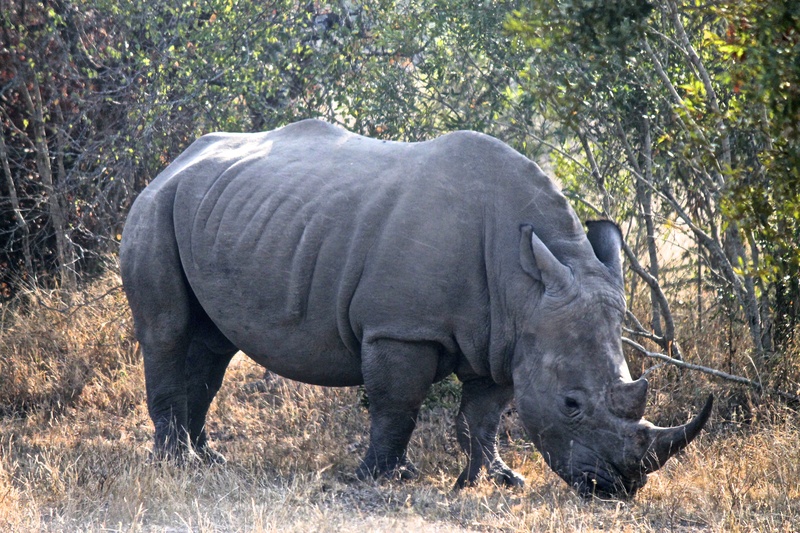 White rhinoceros (Ceratotherium simum) – most common and sociable species of rhino. 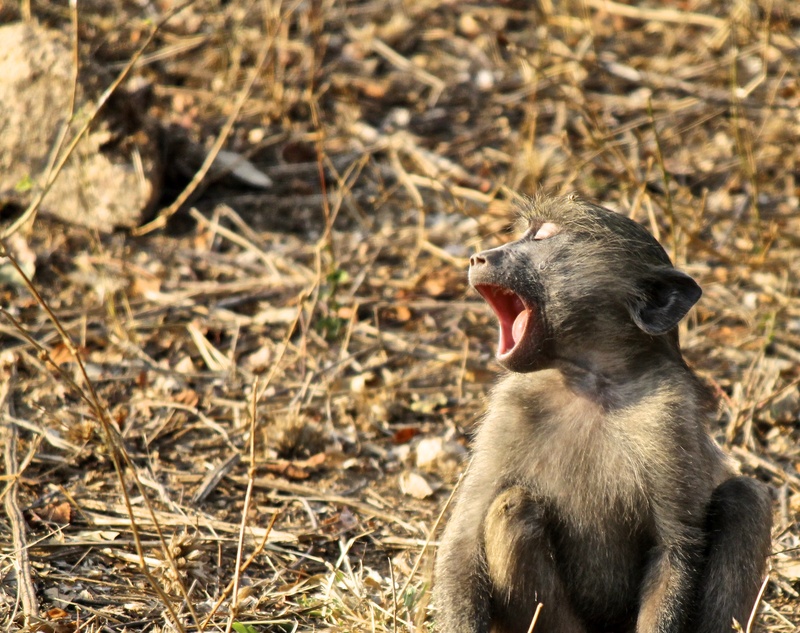 In Kruger’s rest camps, there are information boards set up where people can map their sightings of various species. Sadly, you are now not allowed to show rhino sightings as this provides information for potential poachers. 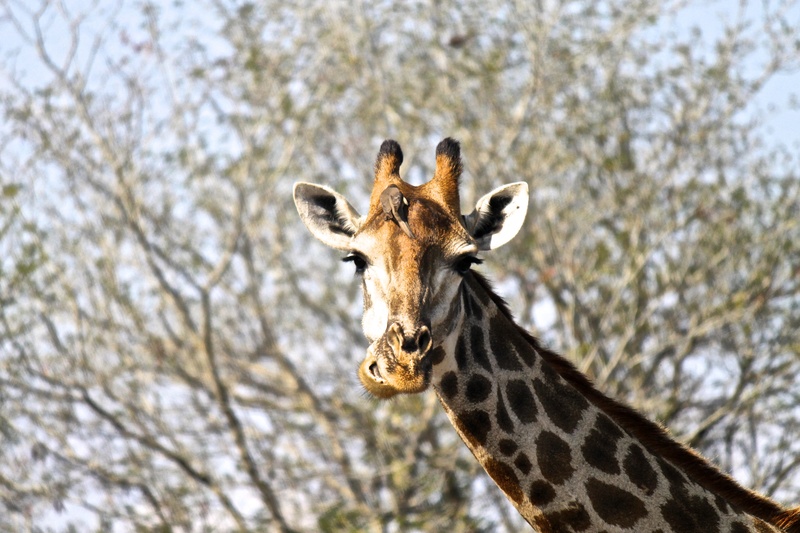 A Giraffe (Giraffa camelopardalis) (Afrikaans: Kameelperd “Camel Leopard”) with an oxpecker on its head. These small birds perch on large mammals to eat the insects that live on them. 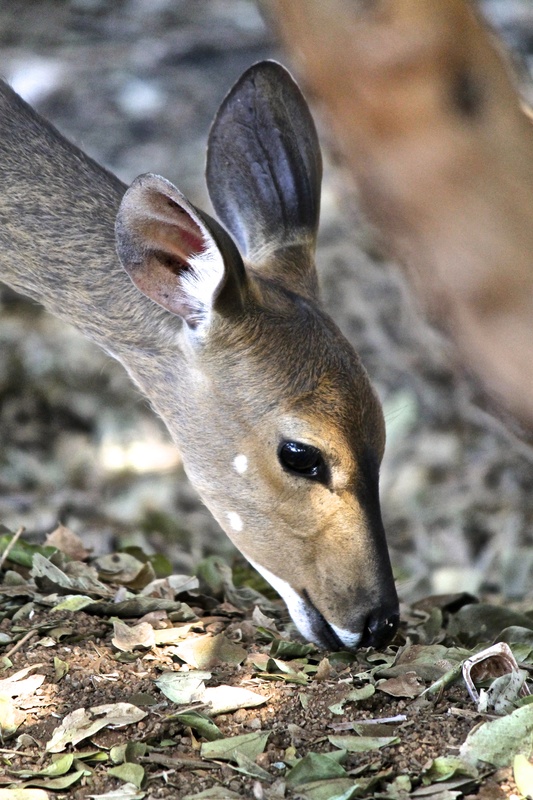 A Bushbuck doe (Tragelaphus scriptus) (Afrikaans: bosbok) – most widespread antelope in Sub-Saharan Africa. Lion (Panthera leo) (Afrikaans: leeu) – one of the four big cats of the genus panthera. 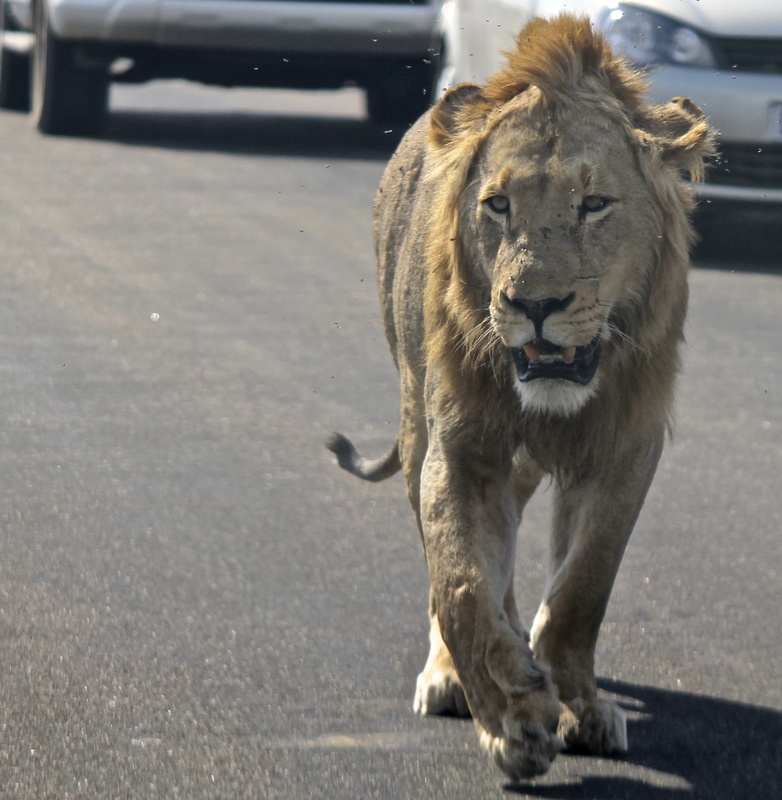 The roads in Kruger are not separated from the bushland by fences, so animals can wander wherever they want. This juvenile male was approached us and walked about a foot from our car. It is absolutely prohibited to exit your vehicle in Kruger National Park, except if you are in a designated rest area. This is why. Beautiful shots! I especially love the one of the daddy baboon. You captured a great moment. And the framing of your warthog shot is very interesting. Thanks for sharing! Oh thank you so much! With the warthog shot, I was pretty lucky to get his whole head in the frame – he was moving so fast! person with a few genuine thoughts on this subject. Seriously..